Mt Chandorje and Tuparu, originally uploaded by mutikonka. 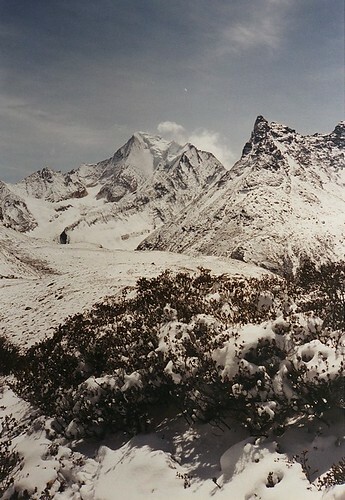 A view of Chanadorje and Tuparu, in the Konkaling ranges. On this picture you can see how Joseph Rock likened Chandorje to a bat, stretching its wings.